Microsoft Office 365 is quickly becoming one of the most popular set of office suite tools for business productivity. By hosting a growing number of popular applications (Microsoft Word, Excel, OneDrive, Outlook, and more) on a single online cloud-based platform, Microsoft has given users a simple collaborative space to work, and share. Here are 3 of the many reasons why businesses are moving towards Microsoft Office 365. For a more detailed report, Forrester has conducted a study on the total economic impact of Office 365. 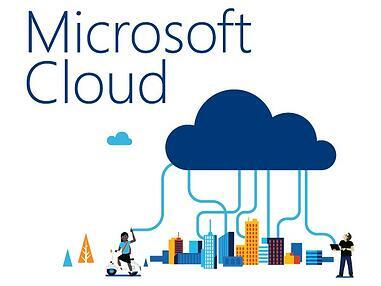 Using internet-based cloud computing, Office 365 gives users the flexibility to work from anywhere and on any device, while still having secure access to company networks. As mobile workforces become more abundant in today's society, a cloud-based platform is necessary for remote employees to stay connected. As a productivity solution, Office 365 offers nearly every tool an employee would need to work in collaboration. Familiar programs such as Microsoft Word and Excel are now available online for instant access, but are only the tip of the iceberg when it comes to the vast collection of tools available. Office 365 has growing collection of applications than enable instant messaging, video-calling and conferencing, file sharing, automated workflows, and so much more. On top of that, all of these tools are hosted by the same cloud solution. Therefore they work seamlessly with each other and with OneDrive. Office 365 offers some of the most popular productivity tools, so it's most likely that you've used it before. Familiar technologies such as Sharepoint, Excel, and Outlook are available anywhere, at any time, on any device. If your employees are currently using Sharepoint as a central file sharing site, Office 365 will enhance that experience as the perfect intranet for your business. Using familiar technology prevents a potential loss in business due to the learning curve of an unfamiliar intranet. Office 365 can integrate easily with an existing SharePoint system, helping you minimize downtime and make for a speedy migration. Office 365 is a collaboration platform that suits businesses of all sizes. It is especially useful for when cross-team collaboration is a common task. Teams can share and create content in real-time and on a single online platform for on-the-go mobility. The Forrester Report, "The Total Economic Impact of Office 365," highlights the benefits of the platform from a business outcome perspective, and will help you understand, not only why is it useful for your business, but how to deploy it for achieving a high return.